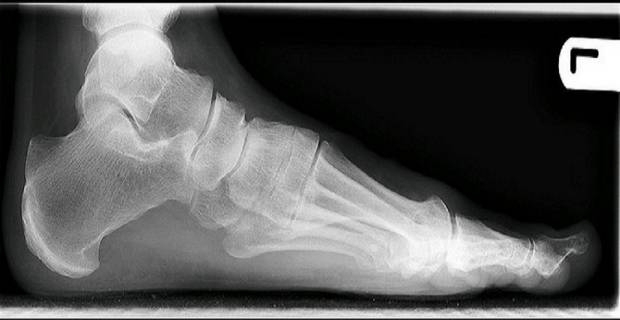 Foot pain or metatarsalgia is a condition that causes pain in the metatarsal region of the foot. The condition affects the joints and bones at the sole of the feet, usually at the mid-portion of one or more of the five bones of the foot. It is important to understand foot pain properly if you want to prevent or ease the problem and maintain general good health. Foot pain results from complications in the bony and soft tissues of the feet. Pain in the feet can occur due to a foot injury or a structural imbalance that causes inflammation or strain in the arch of the foot. The most common cause of foot pain, however, is a condition called plantar fasciitis. Plantar fasciitis is a medical term for inflammation of the muscles along the bottom of the feet. Pain in the feet or arch of feet is often extremely painful. It comes with a characteristic burning sensation on the foot and can be indicative of your general health. The pain can be an early sign of underlying medical problems like arthritis, diabetes mellitus and circulatory and nerve disorders. It is, therefore, absolutely important that you adopt some foot care routines to address the condition. 1. Check your feet daily for cuts, blisters, spots and swelling, especially after rigorous physical activities like jogging and running. Where possible, avoid frequent, extended physical activities that put your feet at risk of getting hurt. 2. Wash your feet regularly, dry well and apply lotion to keep them soft and smooth. Don't apply lotion in between toes as this can cause more harm than good. 3. Wear comfortable shoes that fit well, have a soft inner lining and a reasonable heel. Never walk barefoot. 4. Keep away from flat and very high heeled shoes as much as possible. Wear shoes that have absorbing soles. 5. Wear socks or stockings to protect your feet from cold and hot. The risk factors for foot pain include injudicious footwear, rigorous physical activities like jogging, obesity, age and existing medical conditions. Most of these risks can be managed effectively with treatment. However, if foot problems are left untreated they can lead to more serious conditions. Seek medical attention as soon as possible when foot pain occurs. Treatment options for foot pain from plantar fasciitis may include use of anti-inflammatory medications, physical therapy and strapping of the foot. In severe cases where there is persistent pain, surgery may be performed to relieve the pain. Consult your doctor to discuss the best treatment options for your particular case.